"A journey deep in time. A lost age. A prehistoric world, 82 million years in the making..."
For Halloween one year I learned about National Geographic's Prehistoric Sea Monsters. Prehistoric Sea Monsters are monsters of a different kind from a different time...this nature documentary tells the story of a sea creature named Dolly who lived when North America was divided in two. The story goes back and forth between a fictional story set in Dolly's time and the scientists of our times. Sea Monsters is a National Geographic film for the entire family. In this film, you travel more than 80 million years into the past. You meet the dinosaurs that lived then as well as other creatures who are swimming, hunting and fighting for survival. It shares the world and adventures of two Dolichorhynchops, or Dollies. Is it good or not? Should you buy the 3D version or the ordinary version? I have not seen Sea Monsters yet. However, all of my research leads to a couple of simple conclusions. Opinions on the 3D aspect of this movie are definitely split. I have read reviews by some people who love it and reviews by some who I expect are familiar with the current 3D films, who do not like this film in 3D. If you are buying the 3D version, remember this is not done in the latest technology for viewing blu-ray 3D films at home. It does not require a 3D blu-ray player nor a 3D high definition television and, therefore, it is not going to measure up to movies being made for those devices nor the movies you have seen lately at the movie theatre. 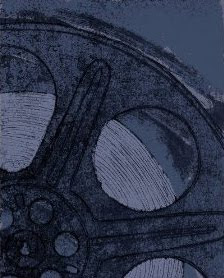 In terms of the film itself, people are generally very pleased with the way the story was put together, the content and the quality of the film. "Even from the comfort of my couch the 3D is amazing." "Visual qualities are quite good. Story is rather cleverly layed out. I recommend it for any age group!" "I was blown away at the presentation. It felt like they were swimming in my living room. I highly recommend this to anyone who loves 3D movies and documentaries." The experts like The New York Times say, "...the film's true raison d'tre: digitally recreated prehistoric sea beasts that seem as real as whales and sharks." High-Def Digest says, "Sea Monsters tells a compelling tale while never failing to dazzle with its wonderful visuals..." Finally, Blu-ray.com says, "Sea Monsters' transfer is crisp and striking..."
Hopefully, this information will help you decide whether or not this is a film you want to see. If you have seen it, what did you think? Would you recommend it? I will try to report back when I have finally viewed it. 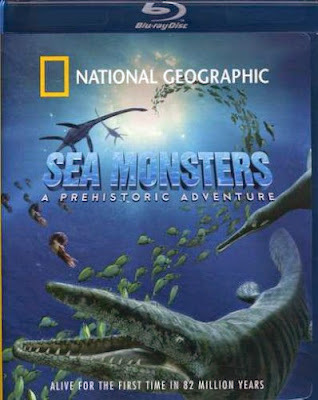 Order your copy of National Geographic Sea Monsters from Amazon.